Sport Court St. Louis is is a complete tennis court and multi-sport construction company based out of St. Louis, MO. Our expertise in tennis court construction will guarentee you a court that will last. Our services range from complete design and construction so you can enjoy a round of tennis, pickleball, or a multi-court to to add even more options. Our company can tackle any project big or small from building or resurfacing new courts for private clubs, municipalities, high schools or universities to building or resurfacing a single court for your home. 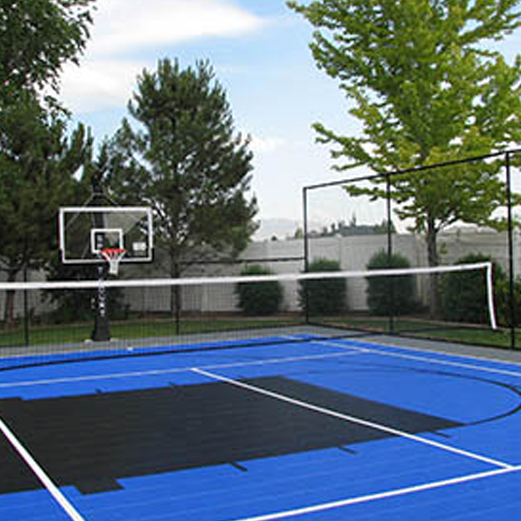 We also design and install backyard game courts for basketball, volleyball, soccer, roller hockey, and so much more. Sprot Court St. Louis are the Tennis Court Builder 's you can trust.